Scot David Millar is still within grasp of winning The Three Days of De Panne overall tomorrow following a hard-fought stage today in the driving rain of Flanders, Belgium. 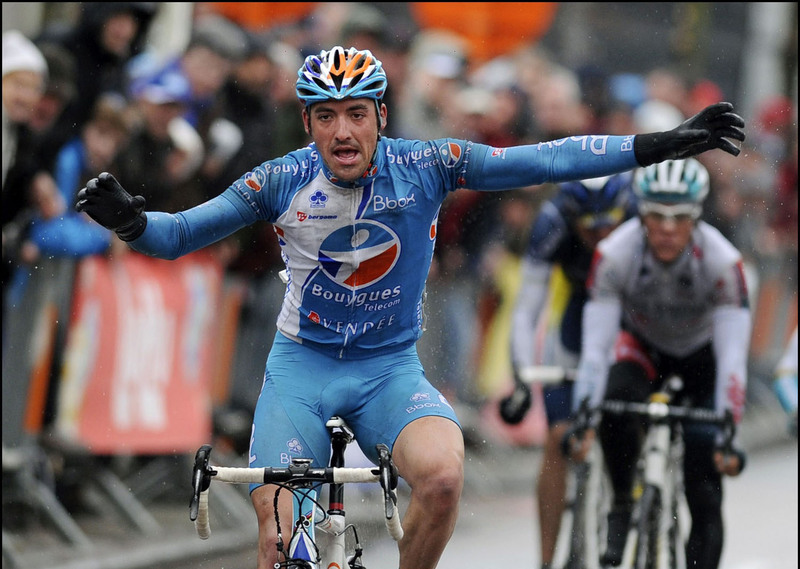 Frenchman Sébastien Turgot won from an escape group, while Millar finished 41 seconds back a second group with Italian Luca Paolini, the new classification leader. Millar (Garmin-Transitions) moved from seventh overall to fourth overall and trails Paolini by 12 seconds. He faces a short, 112-kilometre stage designed for sprinters tomorrow morning and a 14.75-kilometre time trial stage in the afternoon. His potential rival for the overall victory is Andriy Grivko (Astana), who is tied with Paolini for the overall lead. Frédéric Amorison (Landbouwkrediet) is third overall, nine seconds back. Grivko made the 12-man initial escape group, which was reduced to four after the wind and rain took its toll. Turgot gave France and Bbox their second win in as many days, and his first win since last year’s Ireland’s Tour Ivoirien de la Paix stage one Philippe Gilbert (Omega Pharma-Lotto), Grivko and Jens Mouris (Vacansoleil) finished second though fourth. Brit Adam Blythe also made the initial escape when it formed at kilometre 24 with Omega Pharma team-mate Gilbert. Gilbert and Grivko split the group on the Kemmelberg, the climb better known for its appearance in the Ghent-Wevelgem. Blythe, Dan Pate (Garmin) and four others joined the two to form a group of eight ahead of the shortened finish. After the Kemmelberg, organisers decided to cut two of the 13-kilometre finishing circuits due to the nasty Belgian weather. The decision left only 69 kilometres from the top of the Kemmelberg to the finish in Sint-Idesbald. Winds and rain continued to blow the riders across the road, further breaking the chase and lead groups. Blythe and Pate lost contact with the front, leaving six riders. Behind, Millar and team-mate Tyler Farrar made the cut in the 16-man chase group, but race leader Steve Chainel (Bbox) was shelled with 27 kilometres to race. Pate soon joined Millar’s and Paolini’s group and went to work to reel in the front group, which was being led by Grivko. They crossed the finish line, shivering and soaked, 41 seconds behind Grivko’s group. Millar will have a tough day ahead of him to beat Ukrainian Grivko, a four-time national time trial champion. 10. James Vanlandschoot (Bel) Verandas Willems at same time.